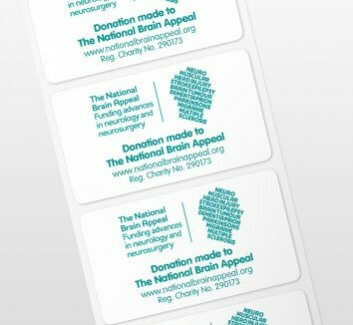 For those of you who prefer to make your own cards and gifts, why not show your support for The National Brain Appeal by adding our special stickers to your creations. Strip of 10 for £1. Postage and packing is free. If you live outside the UK, please email Tina Somorin to process your order.